Was Your Electric Bill Higher Than Ever This Month? Try This. No matter the season, energy bills are hard to keep under control. Luckily, automated homes can help us switch on, switch off, and schedule the energy-sucking appliances that help us live more comfortably. 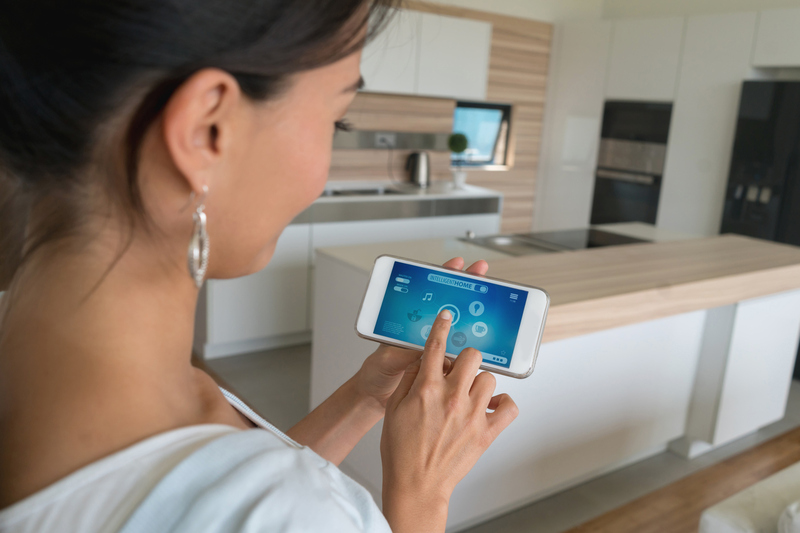 Our team of tech experts pulled together this list of smart home products that can help you outsmart your energy bills. Smart thermostats are a great way to save money on energy. Smart thermostats such as Nest can “learn” your preferred temperature settings and automatically raise or lower temperatures at certain times of day. A smart thermostat can be controlled remotely from your smartphone, which means you can cut down the heat or air conditioning when you’re traveling, or turn it on when you’re on your way home. According to Nest, their thermostat saved 10-12% on heating and 15% on cooling. Based on typical energy costs, we’ve estimated that a smart thermostat could save you $131 to $145 a year. You can automate your home lights using apps such as Hue, which connect the light bulbs to your Amazon Echo or Google Home. These bulbs can also connect these lights to a smart motion sensor system so lights will turn on and off whenever they sense motion. Smart light bulbs can be expensive, but they last for 40,000 hours. Most smart light bulbs only need to be replaced every five years! Bonus: most smart light bulbs are ENERGY STAR rated, which can save you around $75 per year. Smart plugs can help turn your regular appliances into smart devices. Once plugged into a smart plug, an appliance can be controlled from anywhere. This works for pretty much anything, including lights, coffee makers, and fans. Turn appliances on and off with your smartphone and schedule when they should be turned on or off. A smart motion sensor such as Phillip motion sensor system will automatically turn on and off lights when motion is detected (or not). This saves energy by detecting when rooms are empty and can connect to a smart thermostat or smart speakers. Voice-activated personal assistants such as Google Home and Amazon Echo make it easier to control your energy-saving smart home gadgets, without leaving the couch. Want more guidance on smart home devices? Soluto is the easiest way to get more from your tech. More than tech support, Soluto is easy, instant access to a tech expert, to solve any technology issue you could ever have with almost any device you’ll ever own.